A special greeting to extend our best wishes to you during this holiday season. We are extremely grateful to our clients for the trust and loyalty you have shown us, and to our team members who work so hard to ensure that your expectations are met. Merry Christmas and Happy Holidays, from our family to yours. The system design is a true integration between two Generac Holdings Companies, Generac’s C&I Engineering team in Waukesha, WI and MOTORTECH® in Celle, Germany; a company that Generac acquired earlier in 2017 that designs and manufactures gaseous engine-systems. 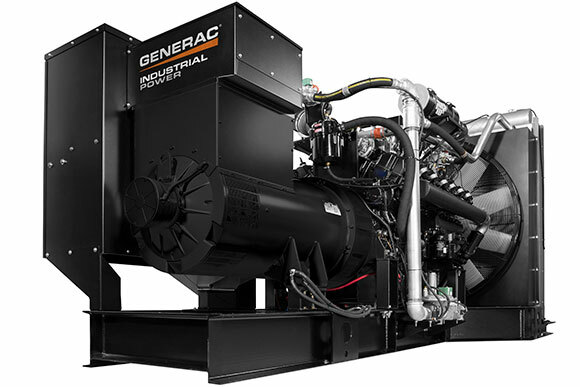 The system integration gasifies a 33.9L engine block and will be the first product offering to introduce Generac’s NEW control panel platform, POWER ZONE®. The Generac POWER ZONE® digital control platform is a fully integrated and multipurpose family of controllers for Generac’s single and modular power systems (MPS). The Natural Gas SG & MG625 is yet another innovative product perfect for a variety of applications. To learn more, download the specifications here (SG625) and here (MG625) , or contact your ESSE sales representative.